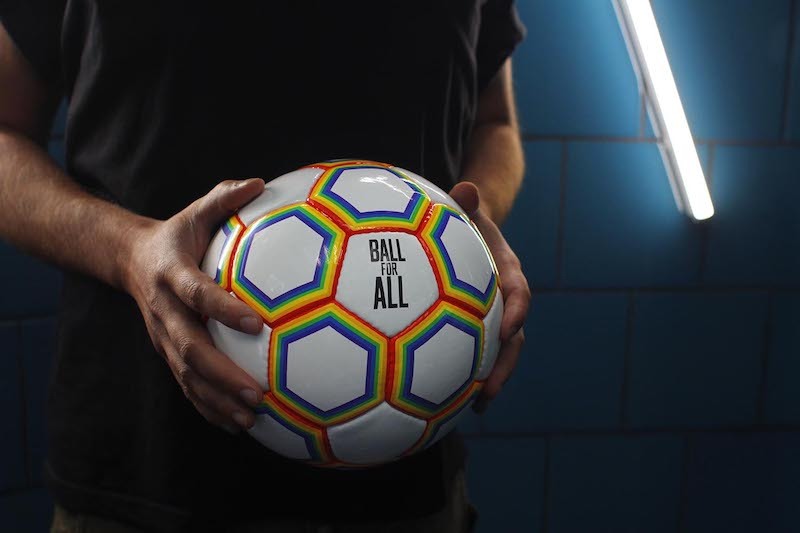 Joint, a London based creative business, has launched ‘Ball for All’, an initiative to help raise money for LGBTQ+ charities and to highlight the status of LGBTQ+ footballers. With the football World Cup having started in Russia on Thursday and June being Pride 2018 month, Joint London are selling specially designed footballs as a symbol of hope and acceptance. UK surveys have shown that 82% of people wouldn’t care about a player’s sexuality and fans can support this by buying a Ball for All. All profits will go to a selection of LGBTQ+ charities. 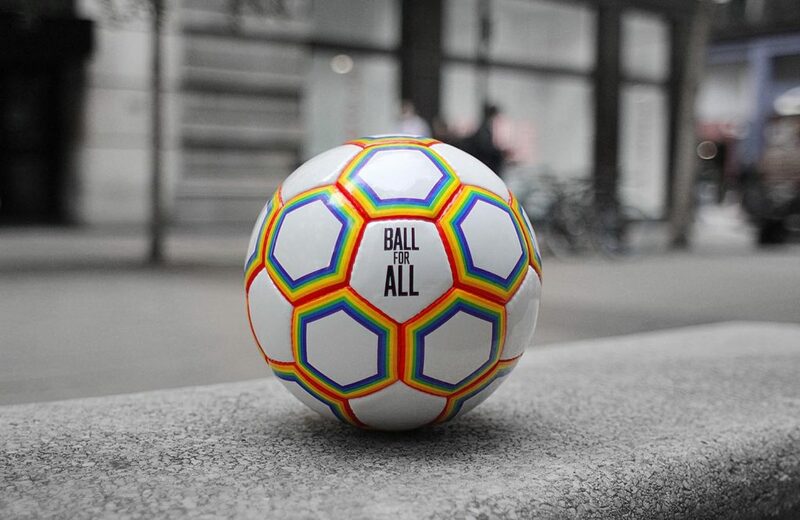 The ‘Ball for All’ initiative arrives on the heels of the 2017 ‘Come Out 2 Play’ campaign, led by OutNews Global, which reached more than 40,000,000 people in one day with its message that fans will support any gay or bi male professional footballer should he decide to come out. Get your hands on this lovely ball for just £20. Damon Collins and Richard Exon, founders Joint London, say, “Our team wanted to do something to show our love of football in a meaningful and memorable way, and our support for the LGBTQ+ community and LGBTQ+ footballers in particular. We are fortunate enough to live in one of the world’s most progressive societies and Ball For All is a demonstration of the support ‘Come Out 2 Play’ offers anyone who feels they cannot be who they want to be. Ball For All is an initiative developed by our Joint Apprentices and we are very excited to support it. Buy your lovely new football here for £20 plus p&p.